Dead Sea Cosmetics - Rich in minerals from the Dead Sea with Argan oil. Dead Sea Cosmetics - Rich in minerals from the Dead Sea with Argan oil mask for damaged and dyed hair, restores and protects them from damage due to exposure to weather conditions and various medications for drying and styling. Hair is made up of the same components as the skin, and as a result it causes damage caused by long-term exposure to heat and cold, and the sun's ultraviolet rays. Dyed, straightened hair especially need good conditioning and protection. 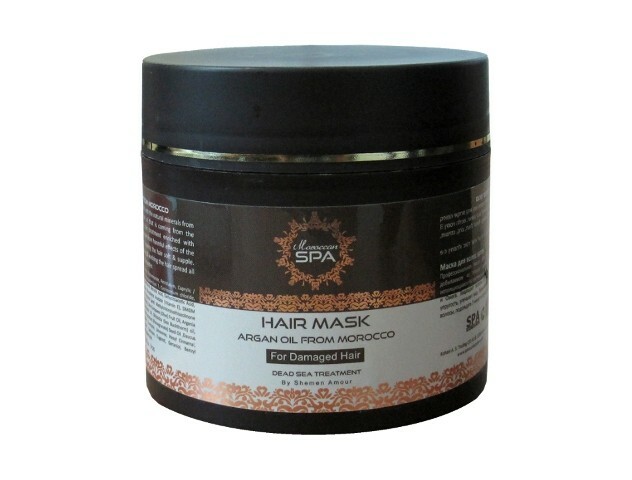 This rich in minerals and vitamins Argan Hair Mask from Shemen Amour is enriched with a high concentration of Moroccan Аrgan oil, known for its excellent moisturizing properties. 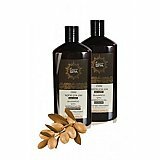 New and innovative formula for repairing damaged hair, will include olive oil, Hohova and antioxidant vitamins, minerals and nutrients from the Dead Sea. This unique blend of oils provides increased blood circulation to the scalp, strengthens the hair follicles, softens the burned ends of the hair and protects the hair.